Hello Everyone and Happy New Year! I hope you all had a wonderful night celebrating. New Years Eve is always a special occasion for my boyfriend and I because it is the night we met 9 years ago (we met when we were only 16). This year we celebrated with our best friends and spent the night playing games, laughing and drinking cocktails! I left it a little late deciding on my outfit this year. I was so pre-occupied with Christmas I didn’t even think about what to wear for New Years properly under the day itself. I had, however, ordered a couple of treats from New Look in the sale including some pretty dresses and against all odds they turned up on the doorstep on 31st Dec.. just in time! 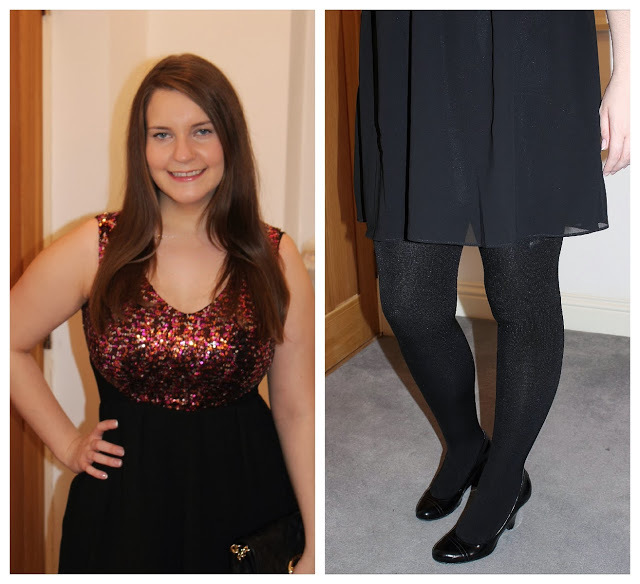 I had a few options but the dress I decided on in the end is this beautiful sparkly ensemble from New Look. Loving a bit of pink I think the top of this sequin filled dress is beautiful and complements the floaty black skirt of the dress well. Initially, I wasn’t actually too sure about this dress because the seam between the top and bottom is quite high and maybe it isn’t the best shape for someone with my curvy hour glass figure but in the end I decided it was pretty and dressy without being too over the top so wore it. I teamed this dress with some thick super cosy tights from Primark because I feel the cold easily and I didn’t want to wear opaque tights. I also wore my Kurt Geiger wedge heels which are super comfy and the Michael Kors quilted clutch bag I bought a few months ago. If you’re interested in seeing what makeup I wore keep an eye out for tomorrows post where I will detail the products I used. What do you think of my New Years Eve outfit? The dress looks great on you, and what a bargain too! Beautiful! Love the sparkly top to the dress. 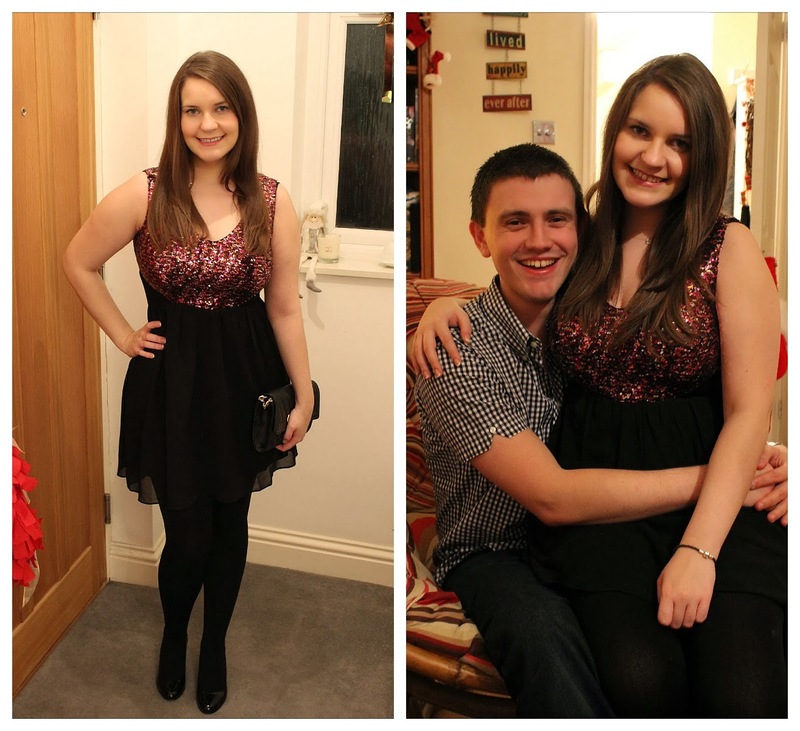 Great dress choice for NYE!